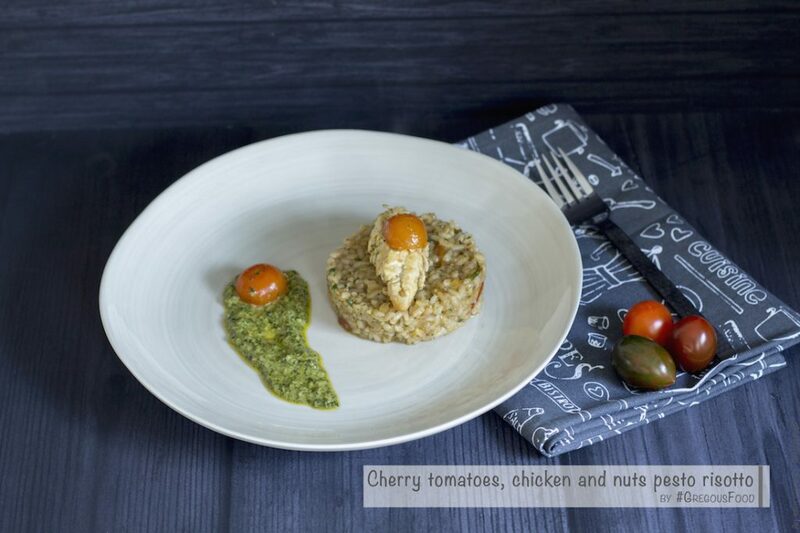 If you regularly check my blog, you know that I like a lot rice or risottos. You can make so many different ways that it’s always an enjoyable moments. It all depends on the flavours. 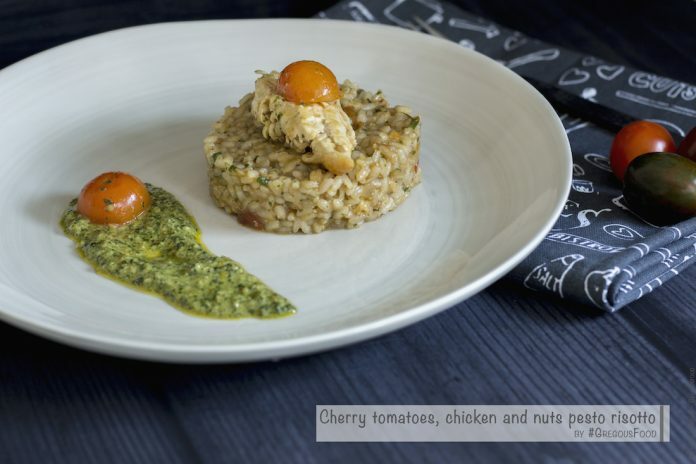 This time I made a risotto starting with tomatoes cherry with some chicken and finally added a nuts pesto to strengthen the taste. Really lovely. Continue adding broth until the rice gets aldante.